It’s was lit yesterday, March 23rd at the grand finale of Aliko Dangote’s daughter’s wedding and people cannot still get enough of it. 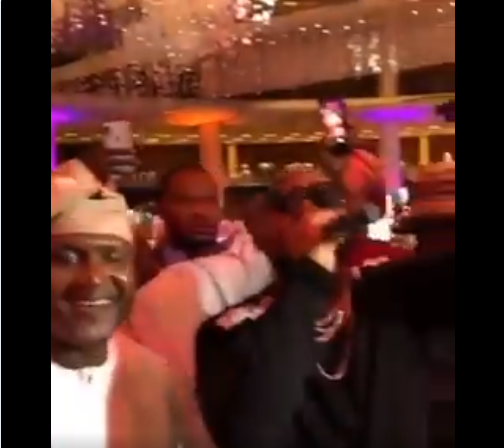 A video is trending right now of Father of the bride, Dangote dancing to FIA when he was performing live at the party. Davido wasn’t the only artiste to perform at the party, Wizkid also made a performance that got people dancing.